Last weekend a broadly representative cross-section of the British population was brought together, in the wake of the MPs’ expenses scandal, to deliberate on a range of options for reforming the UK’s political system put forward by other members of the public, concluding that more power need to be given to MPs. The two-day event, organised by the Power2010 campaign, was structured as a deliberative poll, using the methodology developed by Professor James Fishkin of Stanford University. 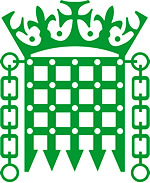 The short-list of Power2010 reform proposals now being put to the public vote contains suggestions such as strengthening Parliamentary select committees, giving MPs more power over the Parliamentary timetable, and reducing the use of statutory instruments by governments to bypass parliamentary scrutiny. So what explains the paradoxical conclusion? One possible explanation would be that the whole event was a masterclass in brainwashing. A carefully chosen group of people were subjected to 24 hours of reformist propaganda and somehow sold on the idea that our democracy would work better if our MPs had more power. As one of the panellists to which the participants at the event put their questions about possible reforms, I sometimes wish I had that sort of effect on people. It would make the task of bringing about reform a lot easier. But I’ve never found that anyone was willing to take my word for it just because I happen to be university academic; besides, the panellists at the event disagreed rather a lot, as did the participants. The real reason for the outcome is that the conclusion that MPs need to be empowered makes so much sense once people have had a chance to debate it and to consider the evidence. And that is exactly what a deliberative event is for. What many of the participants came to realise during the deliberative poll was that representative democracy is deeply flawed when the vast bulk of Parliamentary time is dominated by getting Government business through the House of Commons. MPs may appear to be debating, but most votes are a forgone conclusion given the size of government majorities and the way party Whips yield so much influence on how MPs vote. For the MPs who aren’t on the payroll, a few find a more meaningful role in Select Committees, but usually only if they obey the Whips and if their committees don’t advocate anything too radical. The rest spend a growing proportion of their time (and, necessarily, their allowances) dealing with casework from their constituents – things which better resourced Citizens Advice Bureaux or local councillors could be doing. Almost all of this was a revelation to most of the participants and it radically changed their interpretation of the problems of UK democracy. Much of it is well known in political circles – not that this means there is any action to counter these worrying trends. The report on the reform of the House of Commons which arose from the Select Committee chaired by one of the most able and influential backbenchers, Dr Tony Wright, made many of the same points. But the government has dithered in response to the committee’s recommendations. Reform of the House of Commons is not just a matter for the Government though. It is a matter for Parliament itself and, crucially, for the people. This is precisely what the Power2010 deliberations underlined. As we approach the General Election campaign, party leaders need to grasp the nettle and explain the need to reform Parliament too all voters. If necessary, they must apologise for their part in way the influence of the Commons has been undermined over several decades. Infusing the House with fresh blood at the next election and removing some of those most tainted by the expenses scandal is important, but it won’t be enough. We need to ensure that members of the next Parliament are able to do the things that voters clearly expect of them.